Iconic scene from the 80s classic Poltergeist. The term “soul” is more problematic. Generally, it means the spiritual element of a person and is immortal. Simply put: Soul = Life. That’s a tad simplistic but gets the point across. The person’s soul lives on after death. It descends into heaven. But these elements are hotly debated. I’m reserving this discussion for a future post. When we go on an investigation, we are attempting to see a ghost or the better word: an “apparition,” the visual appearance of a person. However, “ghost” is the first word to come to mind though. We are checking to see whether or not a location is haunted (experiencing a paranormal phenomenon). The “phenomenon” includes witnessing apparitions, hearing unexplained sounds, and smelling unaccountable scents. In a haunting, the location is the focal point of the activity. Now, a “poltergeist” is more confusing. As a proud product of the 80s my definition is deeply entrenched from the movie bearing the same title. I always believed that poltergeists were malevolent ghosts from beyond the grave. This definition is rooted by the German translation of the word. In German, “poltergeist” means noisy or troublesome spirit. Recent commentary focuses on a live human as the source of the activity. The focal point is the person not the location. My above-referenced definition of “spirit” supports this new thinking. If a young child has “spirit” and that spirit is troubled, it can form a poltergeist. Therefore, the poltergeist investigation moves from the location and looks at the people involved. 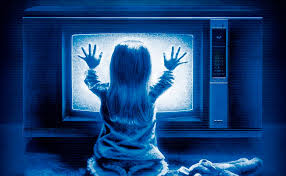 Most poltergeist cases involve a child or adolescent. It is up to the paranormal investigators to determine if the activity is caused by a living person or if the ghost is a highly active one. The terms should not be interchanged. I’ll be touching on more terminology in future posts, but I wanted to get the conversation started. In doing so, I will be more aware of my use of the words and ensure that I am using them correctly.